UK mobile phone retailer Carphone Warehouse has slashed £120 off of the Samsung Nexus S, allowing UK customers to get their hands on an unlocked handset for the new price of £429.99. Samsung’s Nexus S is the world’s first smartphone to feature Google’s new Android 2.3 (Gingerbread) software, incorporating Near Field Communications (NFC) for contactless payments and reading tags wirelessly. The Nexus S launched last week in the US, customers queuing to get their hands on the limited stocks in their local Best Buy stores, where the device sold for around $530. The Carphone Warehouse’s initial pre-order pricing of £550 (roughly $850) was substantially higher than in the US. After the recent drop in price, the Nexus S is now equates to around $660, still some way off its US pricing but enough to possibly tempt Android fans in the UK to part with their cash over the holiday period. The device will become available after December 20 (today), customers will be able to get the device free with a £35 monthly contract. 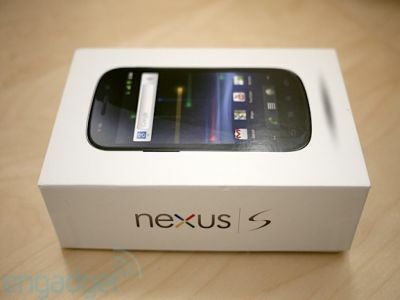 The Nexus S looks likely to become a Christmas bestseller, will you be getting one?